Magnolia Manor awaits your arrival! 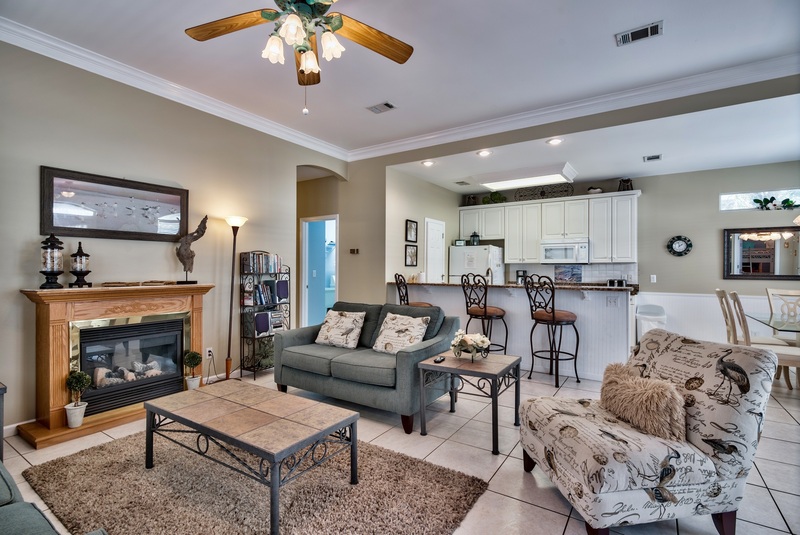 This renovated luxury beach home is a premier vacation spot located in the privacy of the Emerald Shores community in Destin, Florida. 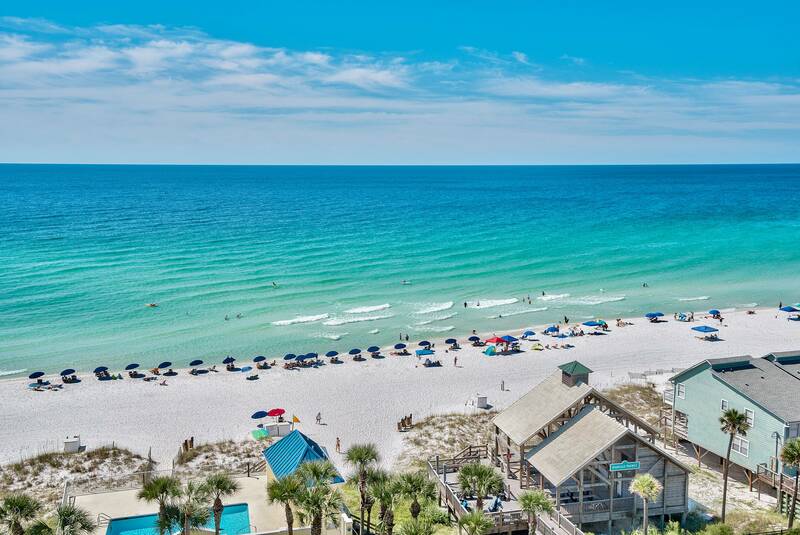 You will have a great Vacation staying at "Magnolia Manor" in Emerald Shores of Destin Florida. 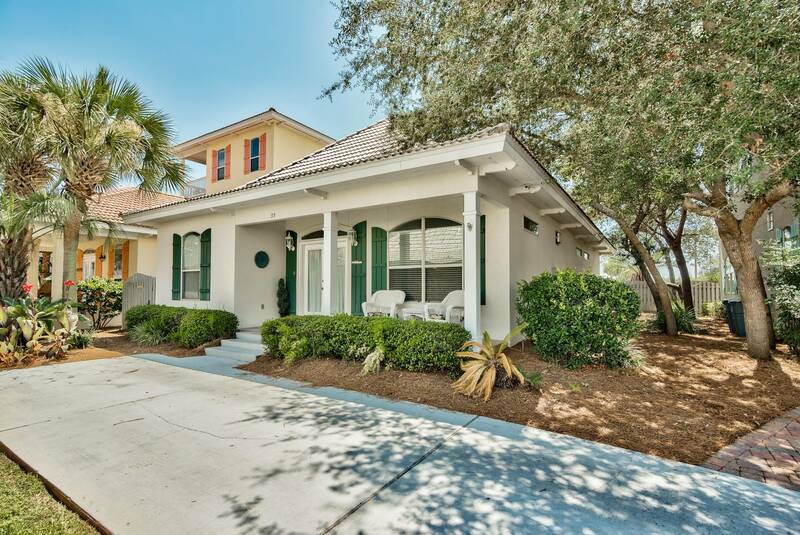 This is the perfect Destin Florida Vacation House for rent. The home has 3 bedrooms, and 2 full baths and can sleep 8 guests. One master bedroom containing a king bed with a master bath that is equipped with a shower and a large jetted tub. The second bedroom contains a queen and the third has 2 bunk beds. The community has 2 pools; seasonally heated, tennis courts, basketball and shuffelboard. All gated and very well maintained and private. Emerald Shores also has it's own private beach pavillion for guests. The pavillion has bathrooms and outdoor showers along with a bar that serves food and drinks. Even though our home Magnolia Manor is not a far walk from the beach, you essentially can stay all day once you are there. 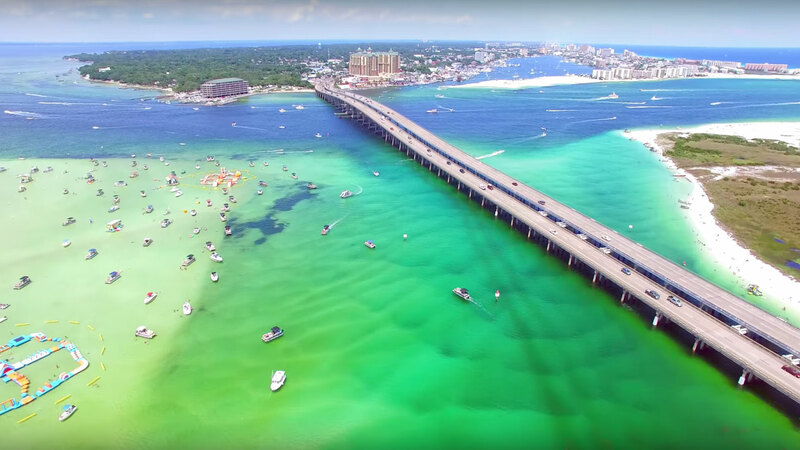 There is endless attractions in Destin, Florida. 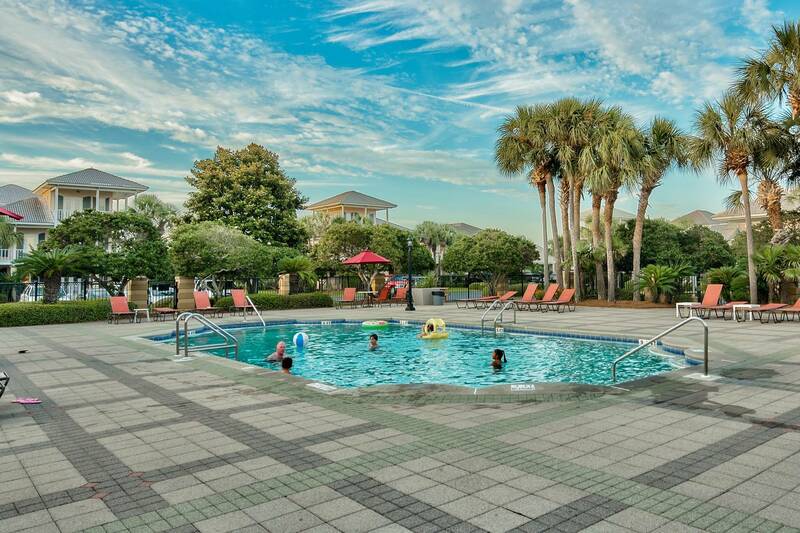 Spend the days relaxing on the white sandy beaches over looking the beautiful emerald green water, then head on up for a refreshing dip in one of the two seasonally heated pools in our Emerald Shores community! Emerald Shores is perfectly located along Scenic 98 just across the street from the beach (don't worry though, scenic 98 is just a 25 mph road and simple to cross). 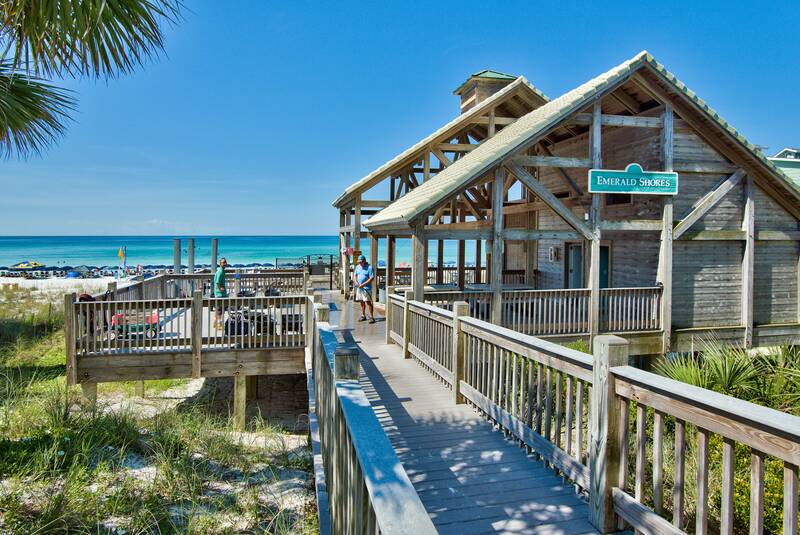 The gated community is one of the most highly coveted vacation spots in Destin, Fl. There are three restaurants within walking distance of the home, Kenny D's, Captain Daves and Pompano Joes. All the food is arguably equally delicious. We love to enjoy lunch at Kenny D's but if we are looking for a beautiful dinner view, we eat at Captain Daves and watch the sunset over the Gulf. Pompano Joes has delicious seafood samplers and also offers fun activites such as beach volleyball. There is also an outdoor bar if you have to wait for seating. SAVE MONEY BOOKING MAGNOLIA MANOR DIRECTLY. Many large listing sites such as VRBO, HomeAway and Airbnb are now charging guests "booking fees" to book a property through their websites. When you book Magnolia Manor with us you will be booking direct with the property owner. This will avoid any extra bookings fees and you can expect to save 15 - 25% on your vacation. We would love to have you stay and Magnolia Manor, you will absolutely love the Emerald Shores gated beach community.